Hello brothers and sisters from all around the earth! We, the brothers and sisters behind RMO Video are hoping that you had a great and fruitful weekend. Now here comes the special part; we will be talking about the upcoming 2019 Regional Convention! And what makes next year convention more special, exciting and wonderful is the International Conventions on some 24 different countries. As you can remember, our last convention was about "courage". Are you wondering what will be the theme for 2019 International and Regional Convention? It is "Love Never Fails"!. Again, next year would be "Love Never Fails"! 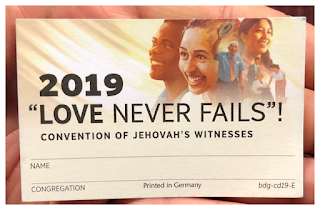 2019 Convention of Jehovah’s Witnesses. 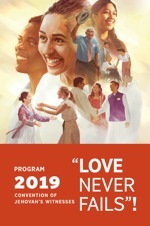 The 2019 International and Regional Convention will be 3-day event, as usual. It will highlight talks and interviews, multimedia (videos, images and animations), a public Bible discourse and hopefully a feature film related to the convention theme. Everyone is invited to the convention. If you want to attend this upcoming event, you can now look for the nearest location from you. Regarding the 2019 International & Regional Convention Badge and Invitation, they aren't released yet. But rest assured that we will update this page as soon as those became available. How about you? 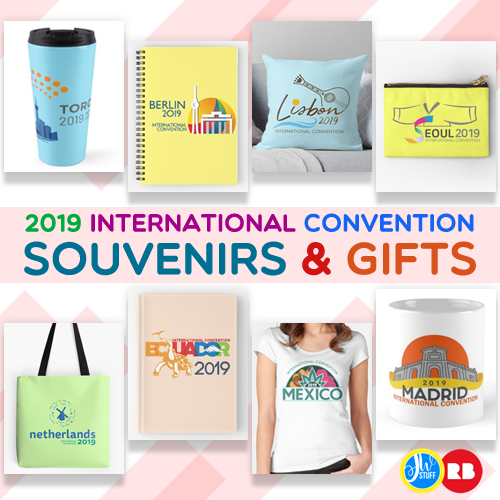 What are you looking forward to the 2019 International & Regional Convention?